Martial arts designer and choreographer Prateek Parmar describes what went into creating the action of Vasan Bala’s film. All the fights in Vasan Bala’s March 21 release, Mard Ko Dard Nahi Hota are the handiwork of a three-member team: Eric Jacobus, Dennis Ruel and Prateek Parmar. Of these, 28-year-old Parmar brought in his skills both behind and in front of the camera. He was the film’s martial arts designer and choreographer and appears in Mard Ko Dard Nahi Hota as Mr. Samurai, the most lethal henchman of the film’s “cliched psychotic villain” Jimmy (Gulshan Devaiah). Parmar describes himself not as an action director but an “actor who knows martial arts”. “I trained the actors for the martial arts sequences, fixed their posture and technique when needed,” he said. Mard Ko Dard Nahi Hota follows the adventures of Surya (Abhimanyu Dassani), who turns his congenital inability to feel pain into a superpower. 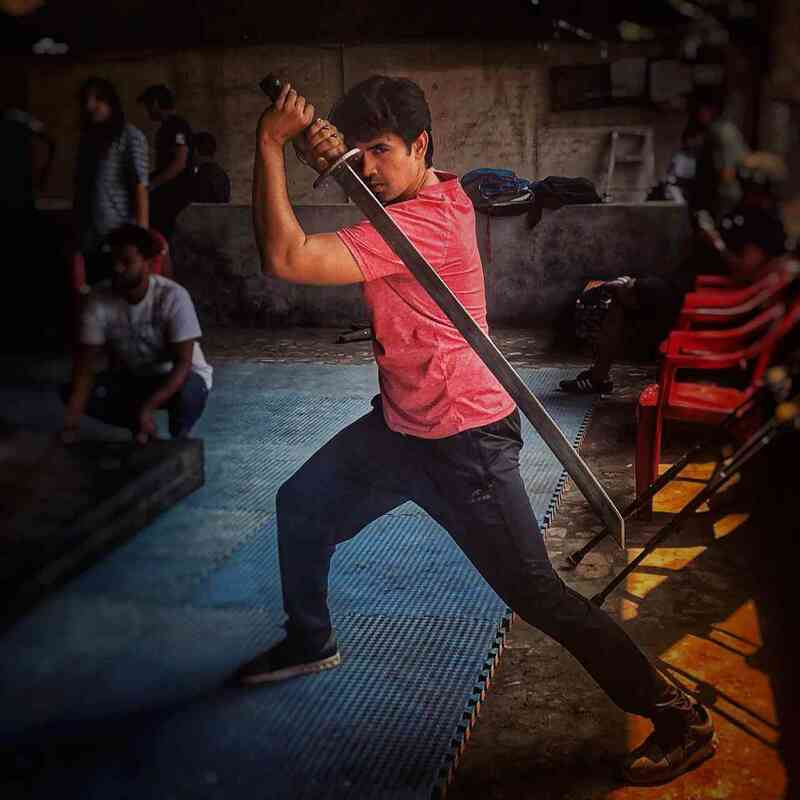 He teams up with his childhood sweetheart Supri (Radhika Madan) and karate grandmaster Mani (also Gulshan Devaiah) to take on Mani’s evil twin, Jimmy. Gwalior-born Parmar trained in mixed martial arts from the age of seven. He has been living in Mumbai for the past decade, and has been part of several films as a supporting actor and fighter in addition to being a martial arts designer. Mard Ko Dard Nahi Hota is Parmar’s first major project. The film features four major fight sequences, the most ambitious of them being the 15-minute climax. The fighters, barring the leads, are mostly actual martial artists. The action is hand-to-hand combat and looks as real as it can get. Parmar trained the actors in martial arts, Jacobus was the action director and Ruel was the fight co-ordinator. In a conversation, Parmar took Scroll.in behind the fights of Mard Ko Dard Nahi Hota. How did your association with ‘Mard Ko Dard Nahi Hota’ begin? I have known sir [Vasan Bala] since 2014. I previously designed action for an unreleased short film called Ad-Vengers for him where mascots of yesteryear ads like Onida TV’s devil, Lijjat Papad’s rabbit, MDH Masale’s chacha and the Nirma girls come to life and fight. Initially, producers were sceptical of a movie like this. Sir would make short videos and show to them, promote my martial arts videos, saying, this is what we can do. We’d discuss what kind of action the film should have, what our team will be. All of Jimmy’s henchmen are some of the finest martial artists in the Indian film industry. They are based in Mumbai, but are mostly from outside, like Assam, Nagaland, Manipur, Delhi, Haryana, Chandigarh and the South states. We thought that only if these guys are there in the film can the action be authentic. The action of Mard Ko Dard Nahi Hota. What were the ground rules of action that were decided upon before the film got on floors? Sir had only rule: make the action as close to reality as possible. The film is inspired by Bruce Lee and the martial arts films of the 1970s and ’80s, when there was no CGI or cable work, and used real martial artists. 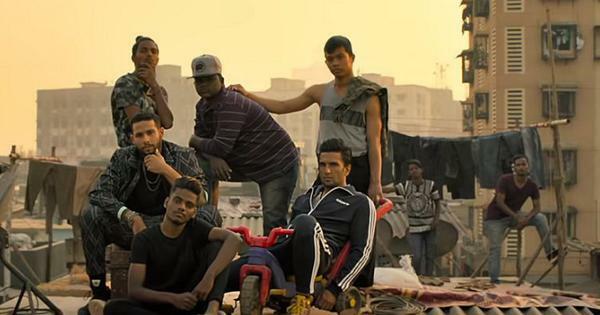 In Indian films, fighters aren’t cast. They come, do their thing, go home. Here, every fighter auditioned. Our aim was to make an authentic martial arts movie where the action isn’t created by cables, wires and camera tricks. No fake furniture is getting broken. We were targeting not the general Indian audience but an international one who are tuned into the history of martial arts movies and can easily pick apart mistakes in an incorrect fight. All the action is shot cleanly with wide-angle Steadicam. So you see who is hitting where and how and who is getting hit properly. In Indian action films, when no one’s trained, you get shaky camera or extreme close-ups, and the fights aren’t seen properly. The leads are not martial artists. How did you make their fighting styles authentic, starting with Surya’s? Surya isn’t trained and he learns martial arts from watching films. So, he has a mixed style. As a Bruce Lee fan, he learned wing chun and jeet kune Do. He loves the Drunken Master movies, so he had to learn drunken Kung fu. He loves the Korean films too, and so he trained in some taekwondo. Abhimanyu had already trained in taekwondo, karate, kickboxing, flips and mixed martial arts [with fitness coach Bikash Barua] before I met him. My job then was to mould his ability to suit his character. The good thing about him was that he moves fast, is light-footed, can jump high, and has good posture. The only issue was that he landed wrong. That needed fixing. Also, I had to give some wow movements, which look cool on him. For example, he does two kinds of jumping-up-spinning-kicks. The regular one is part of taekwondo. The other, where he puts his hand on one guy’s shoulder, spins, and kicks another is a jujitsu technique. Shooting action constantly leads to a drop in energy levels. It won’t work if your energy level during the first and the 12th take isn’t the same. Abhimanyu had to get his form and technique so right that he moved like a machine. Abhimayu Dassani with Prateek Parmar. Supri’s style is mostly karate, since Karate Mani trains her, with little taekwondo. We designed new fight sequences daily, regardless of them being part of the film or not. We’d take note of her posture, style, landing, look, and fix them later. She would have to see martial arts films daily, particularly of female stars like Kara Hui, Anita Mui, Cynthia Khan, Cynthia Rothrock and Michelle Yeoh. This way, she was subconsciously always in the zone. The good thing about her is that her strength is god-gifted. Her focus was 100 per cent into the training, and like a true student, even if asked to jump and land on her head, she would do it. Amazingly, her footwork and posture was as good as that of someone trained for six-seven years. She picked up things quickly. Supri’s weaponised scarf is quite something. We decided that even the smallest stuntman standing in a corner in just one scene should have a unique personality. Everyone has their signature style. With Supri, she had the scarf. In our country, women don’t break into street-fighting suddenly. They have an accessory like a scarf, a handspray, a nailcutter or a handbag they can use as a weapon. So, we gave Supri the scarf and designed her fighting style around it. Radhika Madan as Supri in Mard Ko Dard Nahi Hota. Courtesy RSVP Movies. Karate Mani is a champion of 100-man kumite, where a karate fighter has to beat 100 others to be declared the winner. So, he only did karate in the film, and he had to move and behave like a grandmaster. He had to watch 100-man kumite videos to get into the zone. Before the film, Gulshan Devaiah injured his right knee and was advised by his doctor to not strain himself. But he did his training with a crutch throughout for four months, exactly how the one-legged Karate Mani moves in the film. 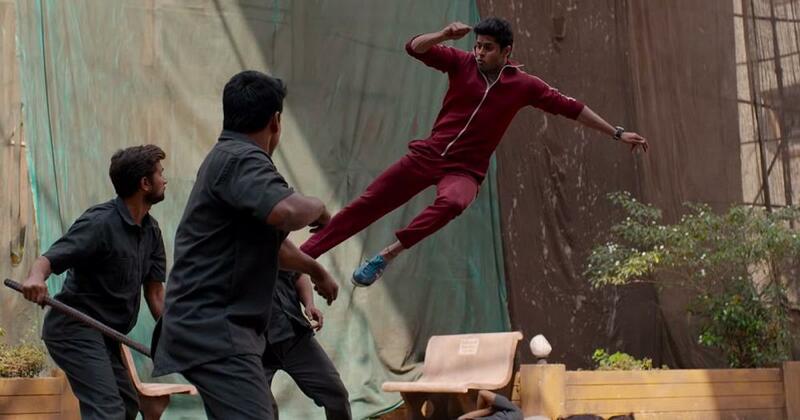 His training could not be filmi like Abhimanyu and Radhika. His movements, walking, bowing, always had to be on point. We also had to develop his strength because constantly shooting and fighting on one leg causes cramps. If the body tired up during shoot, we wouldn’t have time to do the shot another day. He could not pretend to be Karate Mani but actually be him. Gulshan Devaiah with Prateek Parmar. Which fight sequence was the most challenging to work on? The second one with the ward boys, besides the climax. That sequence had Surya protecting Karate Mani from the hospital’s ward boys. The climax, because we had to shoot it in five days in rainy weather. By 5 pm, the sky would be filled with clouds and we would lose light. We had to finish the shooting, on a limited budget, ensuring rain did not disrupt, and when light was available. The shifts would go on for 15 hours straight. Sometimes, the fighters got wet in the rain and had to sit and wait for long hours for the next shot. Sometimes, someone slipped on the wet ground, and you needed a retake. Abhimanyu Dassani broke a finger during the climax, right? Yes, it was when he was fighting me. I kicked the crutch he was holding and that hit his finger. His finger was swollen and it was paining when touched, but no one realised it was broken. We understood when he came the next day putting a bandage on. He didn’t tell sir because we had to finish the shoot on time. But the biggest accident happened to me, actually. For one scene, the choreography went wrong, and I got punched straight in the nose. It broke and tilted to the left under my eye. I blacked out, was taken to the hospital, and shooting resumed when I returned a few days later. You star, direct, produce and fight in your YouTube series ‘Raging Fist’. My X-factor, I believe, is that I can act and do martial arts. I did a small film called Ranviir the Marshal, directed by Milind Ukey, who made Paathshaala. But it was released alongside Shaandaar, and nobody watched it. Let’s not talk about my unreleased films. With Raging Fist, I wanted to see if I could pull off a 10-minute episode with hi-octane action. Was there any audience for this? Were people ready for a new action hero when there’s already Tiger Shroff and Vidyut Jammwal? Episode one got a lot of appreciation fortunately, so I am making episode two now. If I do something for a streaming service, I will make something new with more budget and production values.